The wild cherry trees are flowering, and the willows are showing their catkins. AND it's meant to be sunny on Sunday afternoon! Let's explore the trees and the riverside at Siegburg. Sunset is about 6.40pm, so we might be able to catch some blue hour shots before we stop for a coffee. People coming by train from Cologne or Line 66 from Bonn (both under 30 minutes to Siegburg) should walk up to Platform 6 (ICE) and then down to the street and turn left to the roundabout. Exact meeting: outside the waterbed shop, 25 Bonner Strasse, Siegburg. This is right at the roundabout opposite the Aral petrol station. After a couple hours of exploring and photographing, we hope to gather for a coffee and to share photos. PS. Those who are members of both groups, need only RSVP to one of the groups' MeetUps. The group numbers are limited for this event, so please be sure to take only one spot 😉 and of course to change your rsvp as soon as you know you can't make it. The theme for this MeetUp is composition and mood. Design the photos you are taking, to fit a mood you want to create in the viewer. https://de.wikipedia.org/wiki/Poppelsdorfer_Friedhof, We could walk around and up the hill at the cemetery, and there’s a nice view up there towards Cologne (well… the refineries in Wesseling, but with luck we might also see the Cologne cathedral) and there’s also the Kreuzberg church (https://de.wikipedia.org/wiki/Kreuzbergkirche_(Bonn)) up there. We are meeting in the morning (but not too early!) in the hope it might be misty or damp and add to the atmosphere. Consider wearing walking shoes, so we can explore a bit further. The MeetUp will take place even if it is raining - just bring some covers to protect your camera! As always, at the end of the MeetUP, we will gather for a coffee or lunch and look at our pictures and chat. (Locals tell me that around Poppelsdorfer Platz and Clemens-August-Str. there are some nice restaurants.) Location: https://goo.gl/maps/M7Yze2bGK6P2 - probably best to meet at the lower entrance at the crossing of Servitenweg and Wallfahrtsweg. Should be quite easy to get to, either by public transport (bus to Poppelsdorfer Platz, or a 20 min walk from Bonn central station) or by car, or by bicycle. The cemetery is accessible all the time. Like to improve your skills at taking nice portraits outdoors, especially in evening light? How can you capture good bokeh? And what about when the artificial lights cause funny colours? This MeetUp is an opportunity to practice using flash to light a portrait with nice city lights in the background, and to set your white balance to create interesting portraits. The bridge near the Saturn has wonderful deep green lights at night, which will make a creative challenge for you! (And, if it is raining, we can still meet....). 1 or 2 prime portrait lenses (consider 50mm - 105mm full-frame equivalent) and preferably a flash you can use off-camera. A tripod, reflectors, flash umbrellas, soft box, and flash stands or remote cables can also be useful. We will hope to gather for a coffee and sharing pictures after the shooting. Please note: there is a limit on the number of attendees, so anyone who signs up and then is not able to join, is asked to change your rsvp as soon as you know. Thank you!! A joint outing with the Frankfurt Analog Meetup! An excursion to Frankfurt for the Christmas market with the theme of ‘being like analog. We will met up with the Frankfurt Analog Photography group (https://www.meetup.com/AnalogPhotography/) – and also use our cameras – even if digital – with the limitations of analog cameras. Try it out – see what your creativity can make in an analog situation! *Decide how many ‘rolls of 36-exposure film’ you have with you, and limit yourself to 36 or 72 shots for the day (or, if you feel very rich, you might shoot 3 'rolls of film'). *Decide in advance if you are shooting black-and-white or color ‘film’, and stick to that for 36 exposures (so, when you ‘change film’ if you choose a second roll, you could of course change film type and also ISO). If you want to take the concept of limiting your options and concentrating on the shot, you could also decide to bring only one prime lens (of course, analog cameras also had zoom lenses, so this is an additional limitation just for fun 😉 ). We will meet at 14.30 (2.30 pm) outside Frankfurt am Main Hauptbahnhof. Sunset is at 16.24, so hopefuly there might be some blue hour shots. We might enjoy some coffee or gluhwein in the Christmas market to warm up between shots! And for those who can stay a bit longer, there may be an opportunity at 19.00 to get onto a roof of a church for some shots from a different vantage point. It is recommended to book in advance for the ICE trains as the fastest way to get to Frankfurt (about an hour from Cologne Hauptbahnhof) and can be very affordable when booked as long as possible in advance. Sunset is at 4.40pm, so the blue hour will be directly after. PLEASE NOTE: the fireworks are on Friday 2 November, sadly, rather than 4 nov as advertised. Let's meet up again to see what interesting photographs we can make of light at night. We will meet, share tips about settings to use with night photography and fireworks, and see what we can find to photograph. Think about bringing tripods and long lenses, and wearing warm clothes (as it will be a November night). Update: the weather is predicted to be clear so it will be a good night. But perhaps cold! PLEASE NOTE: the fireworks are on Friday 2 November, sadly, rather than 4 nov as advertised. Happily, Reinhard can host the meetup, so anyone who loves fireworks and is free tonight can join! Please change your rsvps for this meetup and also for sunday's, if your plans are altered. We will meet, share tips about settings to use with night photography and fireworks, and see what we can find to photograph. Fireworks are said to be around 9pm or 9.30pm. Let's explore Maastricht in the Netherlands! Beautiful, historic, busy, and only an hour by Arriva bus 350 from Aachen! We will meet in the afternoon, explore a bit, and perhaps take the time for a photo exhibition in one of the museums. Sunset should be a little after 5pm, so we also have time for the Golden Hour and hopefully a bit of Blue Hour. Although 1 November is a holiday in Germany, it is not a holiday in the Netherlands, meaning the city will be bustling as usual. At the end of the afternoon, we can have a coffee or drink together and look at each other's pictures. There are five 'themes' (= halls), three of which are likely of most interest (Cameras; lighting and accessories; printing and presentation.) We might separate into smaller groups or plan the itinerary in accordance with interest - please to answer the question about your top two choices when you rsvp 'yes'. It will help a lot with planning! Not only is this about seeing new gear, but also about being able to try it out. Bring a spare SD card with you - you might be able to try out some of the cameras being exhibited. And consider bringing your own camera if it's not too heavy - there might be models and lighting set-ups available to try out. Let's explore Oberdollendorf - half-timbered houses, a vineyard, and some hills (with trees). Not to mention some (lovely) ramshackle buildings! This small settlement (suburb) can be reached by ferry from Bad Godesberg, train, or U-Bahn from Bonn. The meet-up will entail a fair amount of walking, around the streets and alleys and then uphill through the vineyard. The Kölner Lichter fireworks is coming up! In addition to a main fireworks show, there will be a number of smaller shows. Here is a map of the locations of the various parts of the festival https://www.koelner-lichter.de/programm/koelner-lichter-programm-feuerwerke.php . It seems the fireworks will start in Porz at around 21.50 and work up northwards. One part of the show will be directly opposite where we plan to be, so we will get a good view of some fireworks. The final show, synchronised with music, at around 23.30. In addition to fireworks, it would be great to include some buildings or landmarks in the photo - to make an interesting composition. We plan to meet in time to check out the crowd around Südbrücke, and see if we can show photos from there (bring long lenses, and a tripod!) If it is crowded, we will move to the Rheinhafen. Please note, that as *lots* of people are expected to try to see the fireworks, we are not meeting in the main area. In addition to equipment for fotos, *bring a picnic or snacks* as we will likely need to stake out a good spot and then wait for nightfall and the fireworks. Please change your rsvp well in advance beforehand if your plans work out differently so people can join from the waitlist, and so we know how many people to expect. And thanks to Patric for all the tips and local knowledge! This weekend is a series of street festivals, a parade, and more for gay pride (called CSD for Christopher Street Day in Germany). It provides a lot of colourful opportunities for street photography. (With thanks to Patric for suggesting the meet up). Bring long lenses - or wide angles -, a sense of fun.... and also model releases if you plan to take portraits. Please consider the General Data Privacy Regulations before using or uploading photos - for example, photos of individuals should clearly fulfil the objective of 'art'. Let's wander around the Bonn botanic gardens with macro lenses - see what we can find in the flowers. In addition to flowers, abstracts, the glasshouse and the garden, we might be able to take portraits and other photos. Entrance to the botanic gardens is 3euro each on a Sunday, and the gardens are open until 18.00 on a summer Sunday. And, of course, we will gather in a local pub or cafe after our shoot, to share photos and exchange tips. There is a lot to see outside, as well as some great greenhouses. Look for animals as well as plants!! Do bring equipment if you have it, such as flashes for external lighting, softboxes or other flash modifiers, macro lenses or extension tubes, etc. Let's go to the woods and see what we can find to photograph. We will meet by the Siegburg train station and then walk along the 'green way' to the forest, looking for inspiring nature subjects. Equipment you might bring: macro lenses, wide and long lenses. We can try out the effect of wide angles, that distances look larger, and long lenses bringing distances closes (try for the appearance of crowded flowers or trees....). If it is sunny, think about bring a reflector or still white paper to cast shade/control the light. If cloudy, think about bringing a flash or other light source to add a bit of 'oomph' to some photos. Let's see what kinds of portraits (and perhaps other photos) we can capture during the golden hour (evening light). We will find a place along the Rhine where we can pratice planned portraits using the sunlight as backlight (to highlight hair and the shape of the head). Be prepared to model! And bring reflectors, any portable lights, or flashs you have as well. MeetUp will be hosted by Patric and will start with a short introduction to some techniques, after which we will have a chance to try them out. Update: Please note new date and time - as the trees are apparently developing their blossoms quickly and are expected to bloom during this week of 9 April. In any case, there are a few early flowering trees already out! NOTE: the date of this meetup might change, depending on the blossoms on the cherry trees. On 24.03.18, we found one tree flowering in a small side street, but the others are still tightly wrapped up for winter. Apparently among the things to see before you die, the cherry trees in Bonner Altstadt are quite famous! We will meet at 2.30pm on the Altstadt side of the Oxford Ring street level with Stadthaus U-bahn stop (corner Breite Str). Although it might be crowded, this gives opportunities to be creative about how to get interesting shots (without infringing on privacy rights in Germany). If we run out of cherry blossom inspiration, we can always visit the old cemetary which is right nearby and has some old graves (including Beethoven's mother). The evening will include a fireworks display, so we might have lots of time to chat while jostling for space along the bridge or Rhine bank. We will meet, share tips about settings to use with night photography and fireworks, and see what we can find to photograph. Sunset will be at 20.12 and the fireworks will start around 21.00. This is a twin meetup to the fireworks meetup on 13 April. You are welcome to come to one, or both, of these twin MeetUps, as you prefer. However, if you prefer one or another activity, do amend your RSVP, as we do already have a waitlist for the fireworks. We will meet and share tips about settings to use with night photography. Bring tripods and remote triggers, if you have them, and think about what ISO and shutter speeds you can best use. Let's have a day trip in Wuppertal, especially to see what we can photograph in and around the Schwebebahn, a hanging tram which is over 100 years old (first opened in 1901) https://www.schwebebahn.de/geschichte-technik/geschichte/ . We will get on and off the tram, so we can also photograph stations, the streets of Wuppertal, and other interesting places. Wupperthal is closer than you might think - for example, a RE leaves Cologne Hbf at 12.21 on the Sunday and arrives in Wuppertal only 35 minutes later. It might be useful for people to group together and buy day tickets, which could then include the trips on the Schwebebahn. There's a limit of 25 people on this trip, so please be sure to update your RSVP in good time, should your plans change. The theme this time is perspective - let's see how thinking about using perspective in our compositions, does to improve our shots! Do ignore the end time (MeetUp puts it in automatically). We will wander and photograph for a couple of hours or so, and then we will gather in a cafe to have (warm) drinks and share our photographs. Sunset is at 17.54, so we might have some golden hour and blue hour shooting opportunities. Let's gather to take some photos in and around the Poppelsdorf Cemetery (thanks for Dörthe for the suggestion!). We will later find a place to gather for a drink or lunch and look at our pictures and chat. 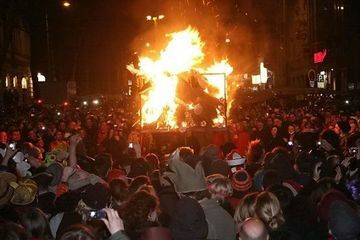 (Locals tell me that around Poppelsdorfer Platz and Clemens-August-Str. there are some nice restaurants.) Location: https://goo.gl/maps/M7Yze2bGK6P2 - probably best to meet at the lower entrance at the crossing of Servitenweg and Wallfahrtsweg. Should be quite easy to get to, either by public transport (bus to Poppelsdorfer Platz, or a 20 min walk from Bonn central station) or by car, or by bicycle. The cemetery is accessible all the time. Take photos in U-Bahn stations in Cologne - in the winter months, let's take some pictures inside! Bring tripods and wide lenses, or consider whether you'd prefer pictures of motion, portraits with the station background, macros... anything is possible! We will start at Heumarkt and move on from there. Consider coming with a transport day pass, so we can easily move on to other U-Bahn stations for more photos. MeetUp automtically puts in an 'ending time' - we are more flexible than that! We will gather in a cafe for a hot drink and to look at each other's photos at around 16.00, depending on how we are getting on. One more Christmas market outing - let's focus on a theme of light and dark. This could be lights in the evening, or black-and-white, or something more. Sunset should be 16.28, so we should be able to plan our shots to include evening and blue hour. Consider taking your camera off automatic! Afterward, we will gather somewhere warm for a cup of coffee and to look at photos. The Christmas market season is upon us, and there have been some suggestions that we try to photograph in several! I suggest the first one might be the Siegburg market, which has a medieval theme. If we are there in the afternoon, we should be able to catch the jugglers, the blue hour, and some of the market by candle light. Siegburg is about 25 minutes from Cologne HBf on S12 or S19, or the Regional Express to Siegen. It is less than 25 minutes from Bonn HBf on line 66. From there, a 5-minute walk will bring you to the Zeitraum, and a few minutes more to the marketplace. We can meet at the Zeitraum, where some of my photos will be exhibited that weekend, and then move on to the marketplace where the medieval activities will be taking place. The building is marked 'Diakonie', opposite Zeeman. 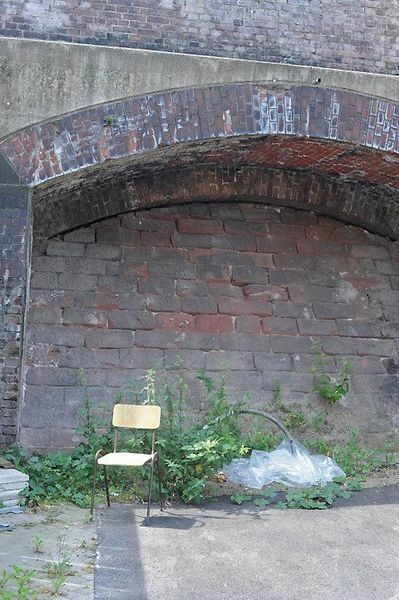 There will be a 'repair cafe' going on in the space as well, but I think we'll be able to congregate, view the exhibition, and then go out into the cold at the market. 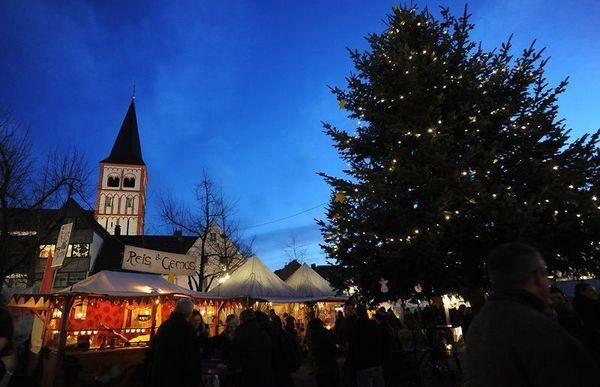 Here's a link to the Siegburg Christmas market : http://www.mittelalterlicher-markt-siegburg.de/web/mittelalterlicher_markt/ (scroll down to find a link to an English-language page if you prefer). Let's meetup and practise potraiture, thinking about lights and props, lenses, background, etc. We will shoot outside and possibly inside - thinking about background and depth of field. It is possible to practise using structures (like bridges, walls that cast shade, etc.) to direct available light, and add more light where you want it by using reflectors and flashes with softboxes. Let's practise thinking about lighting the hair/back of the head and the type of facial lighting (see, for example, here: https://digital-photography-school.com/6-portrait-lighting-patterns-every-photographer-should-know/). What about using props like scarves or something else? As with all Photoresk outings, the aim is to have fun, but of course we can learn from each other and experiment, too! One of the rules of thumb in composing an interesting photo, is that using the diagonal can bring something more to your photo. Let's try it out - in this walkabout, we'll think about good composition, especially using the diagonal. From Cologne, a RE train will take you directly to Linz via Bonn Beuel: dep 13:38 arriving 14:34. From Bonn, one can take a bus or bike to Beuel train station and take a train from there. Let's see what kind of autumn nature shots we can find in the woods and garden in Bruhl. Think about bringing equipment like macro and long lenses, off-camera flashes, tripods, polarising and ND filters. Let's see what we can find! Please check here around the 14th or 15th, as the weather might be changeable. However, we will probably have the meet up unless it's very bad weather, as wind and rain are part of autumn! For those not familiar with how to get to Brühl, there is a train leaving Köln Hbf at 13.56 (arriving 14.12) or Bonn Hbf at 14.01 arriving also 14.12. Please don't forget to update your RSVP if your plans change. Let's take pictures of cyclists, trains, people on skateboards... there is a lot of movement in this area, so bring your ND (grau) filter, perhaps a zoom, an external flash, and let's make some creative shots of motion! We might get some nice golden hour shots if the day is nice. Let's have a walkabout in Cologne, taking street photos. Black and white can suit street photography really well, so I propose that as a second theme. If we meet in around 3:30, we might get some nice late afternoon light. Neighbourhood? I found some nice gritty streets around Hansaring, like Gladbacher Wall. Let's wander and see what we can find! Note to those who met at Hansaring before, this time I suggest outside the main entrance to Saturn, as that is easy to find. See you soon! Let's see what we can find to photograph in the small city of Aachen. In the late afternoon, we will gather in a cafe to share our photos and refresh ourselves. CHANGE of PLAN: A visit to the Balloon Festival in Bonn! Thanks to Anastasia for the suggestion. The festival is planned to take place in the Rheinaue Park. I suggest we meet on the city (upper) side of the stonework under the bridge where the 'Rheinaue' U-Bahn station (line 66) is located. Near the stairs to the station. I have a cherry-red backpack, for those who don't know me already. Please note also the meeting time is now at 3pm, to accomodate anyone coming from Cologne/further afield who needs to get to Rheinaue, and also because the balloons should be taking off around 18.30. The weather is forecast to be partially cloudy, with rain later (21.00). Could make for some interesting backdrops! It sounds very colourful and exciting, and I hope the change doesn't inconvenience anyone. And, of course, we will gather in a local pub or cafe after our shoot, to share photos and exchange tips. The weather forecast is for sunny spells and some cloud. Let's spend an afternoon in Düsseldorf on 30.04 (Sunday) - there is a lot to photograph and of course cafes for a refreshing drink afterwards. Sumanta has suggested the harbour - and more suggestions are welcome! Altstadt is another possible destination, for example. All are welcome - as always, please do update your RSVP as the time gets closer, so I know how many to expect. Thanks! Update: the buds on the cherry trees are small as of 26.03.17, so let's go try to photograph them on 9 April, 16.00. Apparently among the things to see before you die, the cherry trees in Bonner Altstadt are quite famous! Do have a look - if you can't make the 9th of April, the trees are starting to flower as of 30.03, so you might be able to take some nice shots this week already! I propose we meet at 4pm on the 9th and take some photos during the golden hour. We will have a coffee together and look at our pictures, and then, for people who want to stay for the 'blue hour', sunset is a bit after 8pm. (so the blue hour will be from about 8pm - sorry for those who saw my previous proposal in which I thought the blue hour would be before sunset (!)). It's a big group - everyone is welcome but please do update your RSVP if your plans change and you can not longer join us. It's helpful to know how many people to expect. Thank you! Let's gather at Brühl baroque gardens and woods of Schloss Augustusburg (entrance free) and practice some macro photography. Many apologies for the change of location. This is due to the lack of permission to take photos inside the greenhouse at the Cologne Botanical Gardens as originally planned. Please do keep your RSVP updated and come if you've said you will! Please also check a day or two beforehand, as weather may affect plans. 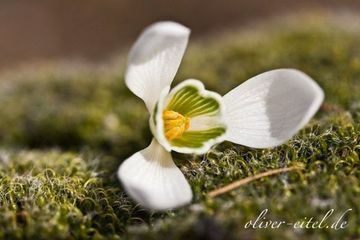 Bring macro lenses, extension tubes, tripods, external flashes and soft boxes or other useful equipment - let's look for the first signs of spring! Sorry - for some reason the meeting point will not update for me. Here is a link to travel info to Brühl - the Schloss is near to (and visible from) the train station. Take photos of a building being blown up! Given that there is no central viewing site and that navigating around might be difficult we have decided that we will give you some suggestions for spots to aim at individually and try to meet after the event and compare photos etc. The location and time posted are to meet-up after the demolition, so don't go there first, but please do drop by after. The demolition is expected at 11:00, give yourself plenty of time to get where you want to be. The time for the meetup is after the demolition so plan accordingly and don't miss it!. The weather is forecast to be a bit grey and gloomy so bring some rain gear for you and your equipment. 1 - Closest will be in the area near the Heussallee/Musuemsmeile U-Bahn stop. There are not a lot of clear sight lines but you may be able to navigate toward Reuterstr bridge area. You can get on the U-Bahn at the Central Train Station (downstairs). This is also near the Bundeskunsthalle don't know if their roof is sold out but might be worth hanging around there to see if anyone has an extra ticket, or wandering a bit behind it . 3. The Marriott hotel is rumored to have space available for a fee of 12Euro on their rooftop bar - limited space but very well placed. Give them a call to see what the options are - some have rented rooms! To meet afterwards I suggest the Vapiano that is in the center of town. I would suggest we plan on meeting there around 11:45 to exchange results and thoughts on what we just saw. We should look for each other upstairs in the area where the pasta making is done. Look for people with cameras. Thurs 16 March 08:40 update - this morning starting at 10 am the Bundeskunsthalle will be selling 200 tickets to view this from their roof. You have to go in person to purchase the tickets. Need a bit of fresh air and nature during Carnival? Let's explore the River Sieg at Siegburg - and take photos which reflect a theme of black-and-white. There may be a few buds emerging and macro opportunities, or maybe shots of the rather fast-moving river to be made with a tripod and Neutral Density (grey) filter. Come to Siegburg for something different, on the local train from Cologne past the airport towards Hennef. (Or, from Bonn, at the end of Line 66). Bring: tripods, macro lenses and extension tubes if you have them, perhaps flashes and filters that might be useful. Also, shoes that can take some muddy corners of rivers and such. Please check a day or two before for confirmation, as the weather forecast might affect the MeetUp! And please do change your rsvp if your plans change. Thanks. Let's try out taking some portraits and themed photos in cityscapes, and enjoy the blue hour. The idea is to take portraits and street shots (of each other, or bring a friend to model if you like) during the city blue hour using flashes, umbrellas (for lights), soft boxes, tripods, etc. Martin (thank you!) has discovered some interesting lighting in tunnels, including one Maybachstr. between Ritterstr. and Krefelder Str - just by Saturn. We might wander a bit around, or check out other tunnels, and we will end as always in a cafe where we can share our photos. Do bring along suitable equipment -remote triggers (cable or wireless), flashes, soft boxes, tripods, etc. you have, -- also so others can try it out. As always, please do update your rsvp as your plans change, to allow people on the waitlist to join! Let's share tips and tricks about how to use our cameras - and take some photos along the Rhein and the harbour development area. the plan is to form groups where people with Canon or Nikon or Sony, etc., can exchange tips about funny camera settings and shortcuts. If people like, perhaps you can try out each other's filters or other equipment, too. Since it will probably be cold, we will walk for about an hour and then have a nice warm cup of coffee somewhere and see what our experiments have brought us. All are welcome. Please be sure to update your RSVP if your plans change. Looking forward to seeing you there! The idea is that each photographer takes images which fit the theme of 'red' - but how, and what it means, is of course up to you. We can share ideas, too, of course. An opportunity for a special meet-up. The Christmas markets around Germany are famous - and there is lots of opportunity for taking photos. We could also wander the quieter streets. In addition, we might have some visitors from Photoresk, a club in Brussels - why not have an international meet-up? NB. Something to be aware of with street photography are the privacy laws in Germany - but there is ample opportuntiy to ask for permission. Let´s get lost in Cologne! We will start the tour at 7:00 pm but I made a map for the latecomers. Meeting point: The entrance of the cemetry at 2:00 pm. There are three entrances. Meeting point is the entrance which is close to the Piusstraße and the "Lindenthal Universitätstr." tram stop. At this time we are heading to Maastricht to discover one of the most beautiful and romantic cities of Holland. We have to change the train in Liege so we have the opportunity to make some photos of the new train station Gare de Liege-Guillemins as well. Meeting point: Cologne Central Train Station (Hbf) in front of the Douglas shop at 7:25 am. How about having a trip through Cologne by getting completely lost? The idea is to randomly pick a district and take a small tour without knowing exactly where we end up. If you like this experimental approach, join in! Meeting point: Cologne Central Train Station (Hbf) in front of the Douglas shop at 09:45 am. This meet up will take place in any weather conditions including snow! 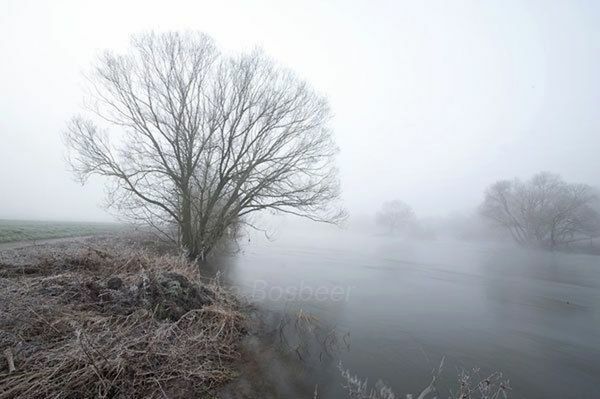 Meeting point is the right bank of the river. Kennedy-Ufer, at the corner of the RTL building. Yesterday I got the opportunity to share some time with Thomas, Knario and Nicolai and we took some amazing Photos. Let's try to push it further, better photos, more colour, more feeling, more places, more people, more ideas, (more battery Kanario) und after ein beer or two coffees. 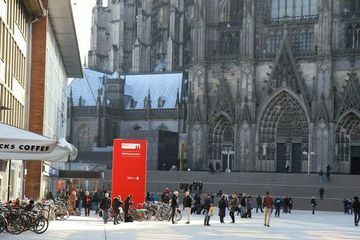 Meeting point for everyone: The font behind Dom, in front of Louis Vuitton and Romisch-Germanisch museum. Click the link and you gonna see a picture with the meeting point. I would like to suggest a night-photo or sundown- photo session in Köln. This group has 501 member. However there is no event since April. I just wanted to apologize for being gone for such a long time. My regular job keeps me really busy. But now we need some phototours again. I am the Community Manager for Yelp Köln and organize many events for the review community. So why not share those as well. This one for example is great for action shots! Last years event was a blast. It is the opening day of the horse racing and we reserved 13 VIP boxes. It is easter monday! What does it mean? 13 x 4 first row seats with the best view. And you can always go right next to the track to get as close as it gets. How can you join? For this event it is necessary to sign in at the Yelp event page, since this is required by the sponsor. No big deal, but something to keep in mind. The Ticket needs to be purchased in advance in order to manage signups. Further instructions follow, as soon as you signed in. *Better with bike to go to the places. Ich suche für Samstag noch dringend einen Fotografen für ein Event. Wir fahren mit 100 Mann nach Oberhausen in 3 Freizeitparks. Wer fotografiert darf Partner und Kinder gerne auch mitbringen. Es entstehen außer der Verpflegung keine Kosten!Ich zahle auch für den Fotografen eine kleine Entschädigung für den Tag. Abfahrt 9:15 ab Köln HBF und 19Uhr wieder in Köln zurück. (Abfahrt auch ab Düsseldorf möglich)Hauptsächlich Portraitaufnahmen der Teilnehmer die sich im Freizeitpark bewegen! Ist sehr entspannt. Wer Interesse hat, bitte an cologne@yelp.de schreiben! I need a reliable event photographer for this saturday. It is an event in 3 different amusement parks in Oberhausen. Transfer, Tickets and even Lunch is all included. Feel free to bring your partner and/or kids as well! I will also pay a little extra for the photographer. This is negotiable! We leave Köln HBF 9:15 AM and return 7PM. Leaving from Düsseldorf is also possible. It will be mainly portraits of the participants at the event! Please let me know if you want to join! It will be an amazing event! Coming monday I am hosting a LaserTag event as part of my Yelp Community Events. It is an exclusive event for 24 people and we still need a great photographer! All the photos you take can be used wherever you like. Glowing jackets and action movements could make this a fun environment to take some action shots! Of course you would be granted free entrance! Please let me know if you like to join us and take some great photos! olli@yelp.de or via the comment function. Oh Leute, das ist fast ein Pflichtprogramm. Warum? Unser Sponsor bei dieser Tour "KölnTrianglePanorama"
Der KölnTriangle und seine 400 qm große Aussichtsplattform bieten einen einmaligen Ausblick über Köln, den Dom und die Altstadt. Mit 103,20 m Höhe und einer Fassade aus Glas und Aluminium zieht die markante Silhouette des KölnTriangle am rechten Rheinufer Kölns den Blick jedes Betrachters automatisch an. Der Turm wurde als ein Projekt der Rheinischen Versorgungskassen in Köln-Deutz nach drei Bauphasen Ende 2005 fertig gestellt und dient seit dem vor allem als Bürogebäude. In der 29. Etage lädt die 400 qm große Aussichtsplattform, das KölnTrianglePanorama, ein, Köln aus luftiger Perspektive zu entdecken. In vier Sekunden bringen hell und freundlich gestaltete Fahrstühle die Besucher in die 28. Etage. Dem Betrachter bietet sich ein faszinierender Rundblick über Köln: der Dom erscheint zum Greifen nah, das linke Rheinufer mit der Altstadt, der Kirche Groß St. Martin, dem Museum Ludwig und zahlreichen weiteren Sehenswürdigkeiten präsentieren sich den Besuchern aus einer ganz neuen Perspektive. Bei passender Witterung sind in der Ferne Düsseldorf sowie das Siebengebirge gut zu sehen, der Blick reicht aber auch weit bis in das Bergische Land. Jährlich genießen über 100.000 Besucher die Aussicht. Dabei ist auch in der kalten Jahreszeit bei klarer Witterung der Besucherandrang oft groß. this year we will celebrate even bigger. It was one of our first photo events last year, now one year later it will be even better. We start at 10AM with BBQ, boardgames and chilling in the sun. We are located at one of the best spots to take photos of the fireworks. Bring your food and drinks - we bring some tables, benches and some sponsored drinks and snacks. We will provide many cool things during the day, just make sure you are also signed in here and have the Yelp app ready on your phone. Where would you like to go? What day suits you best? Lets get started with another tour! Dieser Termin sollte dringend in euerm Kalender geblockt werden. Was wir vorhaben? Wir wollen ein Tag erleben wie er in Australien nicht schöner sein könnte. Kangaroo-Würstchen und Burger, Krokodilfilet Brötchen, dazu ein schönes Fosters und dabei Aussie Rules Football live schauen. Wir haben ein Team in Köln, das an diesem Tag ein Heimspiel gegen Stuttgart in Bocklemünd hat. Zusammen mit den Jungs schwingen wir den Grill und machen einen tollen BBQ Tag. Unterstützt werden wir dabei von dem Australia Shopping Store in Köln. Hier die Videogrüße aus Australien für uns! 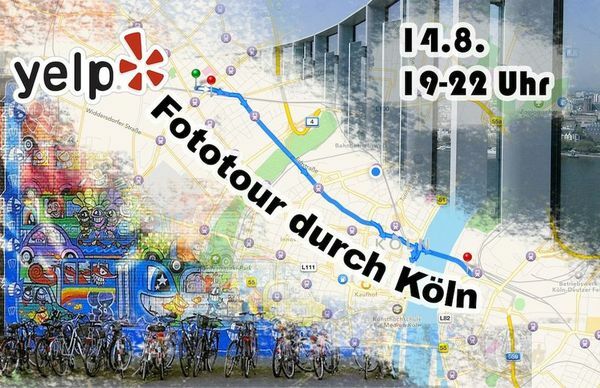 Das Wetter ist genial, die Kölner Instagram Gruppe wird ein Jahr alt, es gibt ein Fotowettbewerb unter dem #1_jahr_koelnergram an dessen Ende die <a>30 besten Foto auf einer Ausstellung gezeigt und für einen guten Zweck</a> (Lebensdurst-Ich e.V.) versteigert werden und daran können wir alle teilnehmen. Wir freuen uns auf euch spontanen Fotografen! We will celebrate with our friends from Yelp and the NiK Ü30 group (New in Köln above 30). I am the organizer, as I work for Yelp in Köln. I would love to invite some of you to join our great party at a really cool location in Köln. It is the perfect start for 2014 to meet people who want to meet new people, are new in Köln, or simply want to party with a great crowed in a private place (will be less than 80 people). We will offer three different cocktails, wine and beer. The catering will be done by a local bistro (Samido Cafe & Art). We will have a professional bartender from Haifisch Club in Köln. Camera? Hell yeah! If you wwnat some cool shots, bring your camera. At midnight there is a great hill nearby, from where you can overlook the city. If you want to make sure to get a ticket, sign in as soon as you can. In order to get the payment details and the ticket, sign in here and write behind your name "(meetup)"
Very much looking forward to a great party with you all!!! Wer hat Lust, die Kölner Weihnachtsmarktvielfalt fotografisch festzuhalten? Wir treffen uns am Sonntag, 08.12.2013 um 17: 30 am Heumarkt, vor Maredo (dem Steakrestaurant) und gehen von dort aus vohin uns das Auge trägt 🙂 Natürlich werden wir dabei auch den einen oder anderne Glühwein genießen. Who is up for taking pictures of the Christmas Market in Cologne? On September 21st we'd like to gather photo lovers from all over the world! To meet within their community, mix & mingle, discuss great ideas, and go on photo walks. Really everyone is welcome, no matter if you are on 500px or not! Let's meet in front of the big statue on the Heumarkt, then walk a bit through Cologne's old town and then along the Rhine towards the Rheinauhafen. The route should provide many interesting photo opportunities. Diese Woche treffen wir uns weil der Dom so hübsch ist. Ja ihr habt richtig gehört. Denn er hat ein Gerüst weniger, und damit einen Grund mehr ihn von seiner schönsten Seite abzulichten. Beginn: Unsere Tour beginnt Ecke Maternussstraße und Claudiusstrasse. Jeder kann mit. Ob mit oder ohne Kamera. Ob mit Handy oder Spiegelreflex. As a small Thank You, we send FF Event one or two of our best of photos, that they can use to promote their Brauhaustours. Usually these tours cost around 15€, so I think it will be a fun night and it is a great deal! Looking forward meeting all the new ones in this group. The tour will be in German, but the beer will taste as usual 🙂 The group is mixed as always. German/English native spakers. So everyone is welcome to join! Unsere Chance mit Langzeitbelichtung etwas Tolles zu schaffen. Wir machen es uns am Rhein gemütlich, machen ein kleines Picknick und genießen das Feuerwerk über dem Rhein bei Kölsch und Fotografie. Der genaue Ort wird vorab noch bekanntgegeben. Aber Rheinpark eignet sich dazu wohl am besten. Wir wollen einen unterhaltsamen Sommertag im Juni zusammen verbringen und setzten uns alle ins gleiche Boot. Das Boot ist über Yelp angemeldet und besteht aus Usern der Yelp Community, der Ü30 Neu-in-Köln Facebook Gruppe und unserem Meetup! Es ist ein Rennen das viel Spaß machen und das leckere Essen und Trinken nicht zu kurz geraten soll. 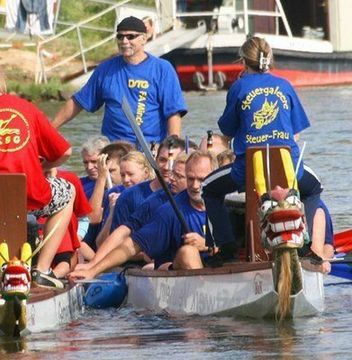 (1) Ein Team muss aus 16 - 20 Paddler, davon mindestens 6 Frauen + 1 TommlerIn bestehen. (5) Ich werde von Yelp versuchen ein Teamoutfit zu stellen. Vermutlich T-Shirt und Sonnenbrille o.ä. Bitte bis Freitag 10.5. anmelden, da die Plätze begrenzt sind. Einen ganzen Tag lang gibt es fotografische Aufgaben und Rallyefragen zwischen Dom und Rheinauhafen. Anschließend eine After-Rallye-Party. Zu gewinnen gibt es unter anderem Objektive von Tamron. Wenn sich genug Leute finden könnten wir als Team teilnehmen, es zählen dann sowohl die Einzel-, als auch die Teamleistung. Veranstaltet wird das ganze von Tamron und einigen Partnern, die Teilnahmegebühr beträgt 25 Euro. What about a small tour through MediaPark towards Eherenfeld with a nice view over the city? The views are great on top of the hills, walking distance is nit more than 2km roundtrip from Hansaring and the weather seems to be great for sunset/dawn shots. It is great to test some new techniques like HDR, Panorama and low light shots. After that some drinks and maybe BBQ at my place. Right at MediaPark, have a projector installed in case some folks want to watch the Köln soccer game tonight. Auf der Suche nach dem Frühling die Natur in Köln neu entdecken. Vorschlag Route: Beginn am Stadtgarten und entlang des Inneren Gürtels in Richtung Süden. Ihr dürft gerne selbst ein Datum eintragen! Freue mich auf euer Mitwirken. Hi my Photography friends. This week I will organize a BBQ event in Köln Poll. It is right on the Rhein and we will be able to host about 20 people. I organized a tent, a BBQ grill, torches, a heater in case it gets cold and 30L of beer. I thought this is the a great opportunity to get this season started. It is also great to take photos, so please bring your cameras if you like. We will use the location of the local "Jugendzentrum" and therefore donate 5€ each to them. This way they can give something back to their community. So bring your steaks or whatever you want to put on our BBQ grill and feel free to bring along a friend or two. It is for a good purpose and loads of fun! Starting at <a>Textilcafe</a> near Eigelstein Torburg, going to Hauptbahnhof and Dom, accross Appelhoplatz towards Friesenplatz and ending the Tour at Brüsslerplatz at a Cafe called <a>Hallmackenreuther</a>. Please try to be on time and tell us when you won't be able to make it. We will meet at the Torburg Eigelstein at 6:30PM. Our final stop will be Roonstraße, Köln. This is where one of the biggest events this night will happen. The Nubbelverbrennung. Be part of a great tradition and lets capture these great moments. We will bring some drinks to warum up on our way towards the southern part of the city.